[An earlier version of this article was available at photo.net in the USA 1996–2016. An abridged Russian version: Камера-обскура. The Russian version may also be downloaded in pdf format. lens. Light passes through the hole; an image is formed in the camera. Pinhole cameras are used for fun, for art and for science. making the best of the camera’s potential great images can be produced. Some of the images could not have been produced with a lens. one animal in nature which uses a pinhole for seeing – the mollusk Nautilus. shrink. In this drawing, originally taken from a book published by Arthur Willey in 1900, the eye is the oval opening to the upper right. 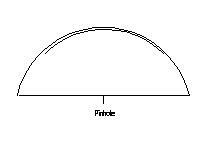 The basic optical principles of the pinhole are commented on in Chinese texts from the fifth century BC. Chinese writers had discovered by experiments that light travels in straight lines. The philosopher Mo Ti (Mo Tzu, Lat. 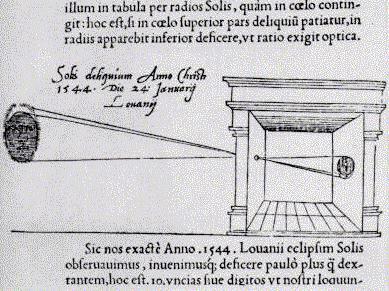 Micius) was the first – to our knowledge – to record the formation of an inverted image with a pinhole or screen. Mo Ti was aware that objects reflect light in all directions, and that rays from the top of an object, when passing through a hole, will produce the lower part of an image (Hammond 1981:1). According to Hammond, there is no further reference to the camera obscura in Chinese texts until the ninth century AD, when Tuan Chheng Shih refers to an image in a pagoda. Shen Kua later corrected his explanation of the image. Yu Chao-Lung in the tenth century used model pagodas to make pinhole images on a screen. However, no geometric theory on image formation resulted from these experiments and observations (Hammond 1981:2). unresolved until the 16th century (Hammond 1981:5). the wall. From his observations he deduced the linearity of light. for artists and amateur painters. ihr Bild durch diese Öffnung senden und werden umgekehrt erscheinen”. According to Kim H. Veltman there are no less than 270 diagrams of camera obscuras in Leonardo’s notebooks. calendar by 10 days, thus creating the Gregorian calendar (Renner 1995:7). 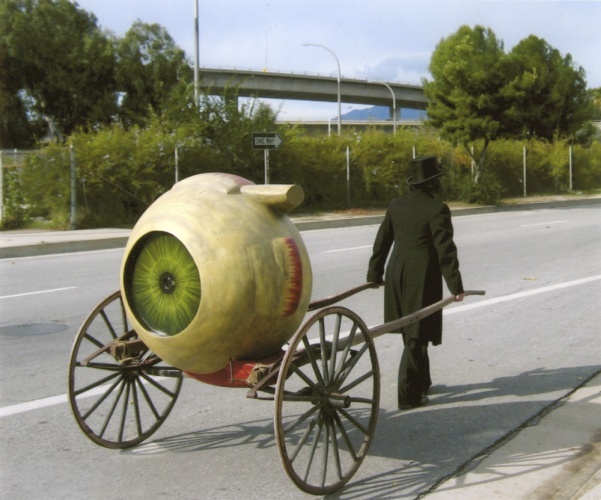 did his camera obscura shows, but he was by no means the inventor. the bi-convex lens, improved the quality of the the projected images. Some buildings or towers with camera obscuras from this period remain today: The Camera Obscura at the Royal Mile, Edinburgh built in the 1850s; the 1836 camera obscura at Dumfries, Scotland; the Clifton Observatory at Bristol, England from 1828; the camera on the Mount Oybin in Germany, wich dates back to 1852, and others. The camera obscura at Eger, Hungary, was opened around 1780 and is one of the oldest cameras obscuras that can still be visited in Europe. It got new optics in the 1850s and the 1960s, but the original mirror is still in use. Quite a few room-sized camera obscuras have been built in the 20th century, for instance, the Eastbourne Pier camera obscura in East Sussex, Britain, which dates back to 1901; the Kirriemuir Camera Obscura, Scotland, built in 1929; the Giant Camera at Cliff House, San Francisco, constructed in 1948-49; the camera obscura at Santa Monica, California, established in 1955, with a mechanism from around 1900; the Torre Tavira camera obscura in Cádiz, Spain, which opened in 1994; the camera obscura at Castelo de São Jorge in Lisbon, inaugurated in 1998; the camera obscura at Plaza Vieja in Havana, Cuba, finished about the same time. The camera obscura installed in 1992 in the Broich Watertower in Mühlheim an der Ruhr in Germany claims to be the largest walk-in camera obscura in the world, whereas the camera obscura in Perdika (Aegina island), Greece, installed in a cylindrical WWII gun emplacement in 2003, claims to be the only camera obscura that produces a 360° panorama. The panorama is split up in twelve individual images, upside down and reversed, on a circular, semi-transparent screen, hanging down from the ceiling. One of the most beautiful modern architecture camera obscuras may be the camera obscura at Trondheim, Norway, which was opened in December 2006.
in England, were other early photographers to try the pinhole technique. in the 1880s. Two of Petrie’s photographs are reproduced in Renner (1995:39,40). It should be noted that Petrie’s camera had a simple lens in front of the pinhole. pictorialist group, the “Linked Ring”. George Davison’s picture is reproduced in Renner (1995:42), and in several histories of photography, e.g. Michael Langford’s The Story of Photography (Oxford: Focal Press 1992. p. 106), The Magic Image. The Genius of Photography, edited by Cecil Beaton and Gail Buckland (London: Pavilion Books Ltd. 1989. p. 79), Naomi Rosenblum’s A World History of Photography (New York: Abbeville Press 1984, p. 310). and in A New History of Photography, edited by Michel Frizot (Köln: Könemann 1998. p. 298). In 1892 the Swedish dramatist August Strindberg started experimenting with pinhole photography. 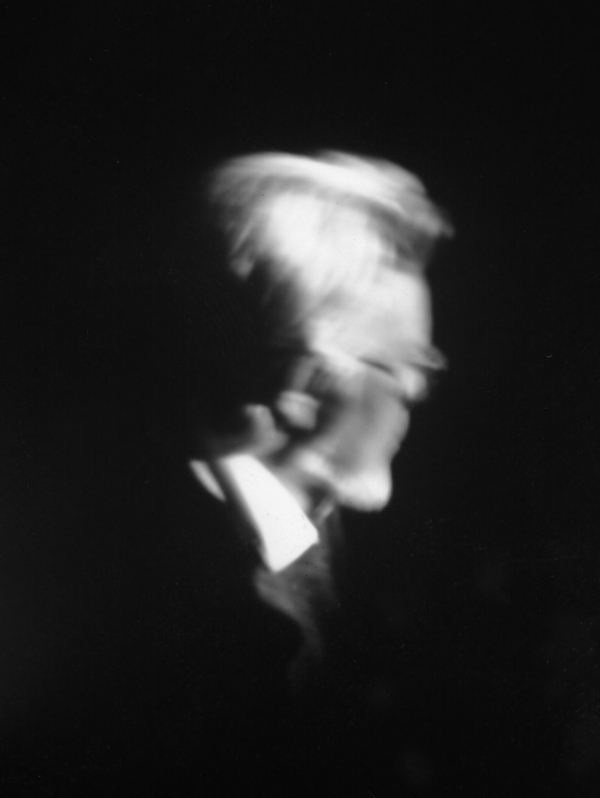 About one hundred of Strindberg’s photographs are preserved, of these three or four are pinhole images. “Photomnibuses” have been preserved for posterity in camera collections. trays, a print frame and ruby paper for a safelight. The very first commercial pinhole camera was designed by Dehors and Deslandres in France in 1887. Their camera had a rotating disc with six pinholes, three pairs of similar sizes. Pictures of these cameras are found in Renner (2008:59–60). In Italy, Luigi Sassi published a 135 page manual on pinhole photography in 1905, La fotografia senza obiettivo. A picture of a sliding box pinhole camera made by Dehors and Deslandres. technique. He also designed the Kodak Pinhole Camera around 1930. In the mid-1960s several artists, unaware of each other, began experimenting with the pinhole technique – Paolo Gioli in Italy, Gottfried Jäger in Germany, David Lebe, Franco Salmoiraghi, Wiley Sanderson and Eric Renner in the USA. Coincidentally, many of these artists were working with multiple pinholes. 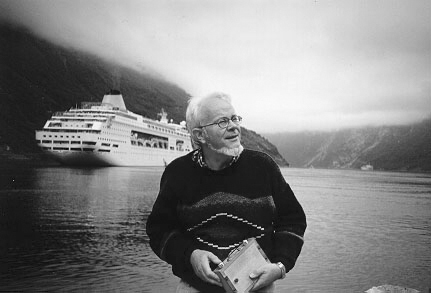 Wiley Sanderson was a professor of photography at the University of Georgia and taught pinhole photography from 1953 to 1988. During that period his students built 4356 pinhole cameras (Renner 1995:53). Two scientists were also working with pinhole photography, Kenneth A. Connors in the USA and Maurice Pirenne in Great Britain. 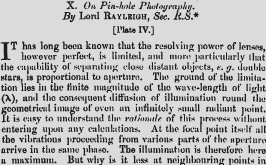 Connors did research on pinhole definition and resolution. His findings were printed in his self-published periodical Interest. Pirenne used the pinhole to study perspective in his book Optics, Painting and Photography (1970). Pinhole Photography – Rediscovering a Historic Technique, published in 1995 (fourth edition 2008), mentions a large number of pinhole artists active in the 1980s and has samples of their work. were manufactured in the 1980s. In December 2003, according to my own research, there were at least 48 cameras on the market, from 18 manufacturers in the US, Europe, Australia and Asia. 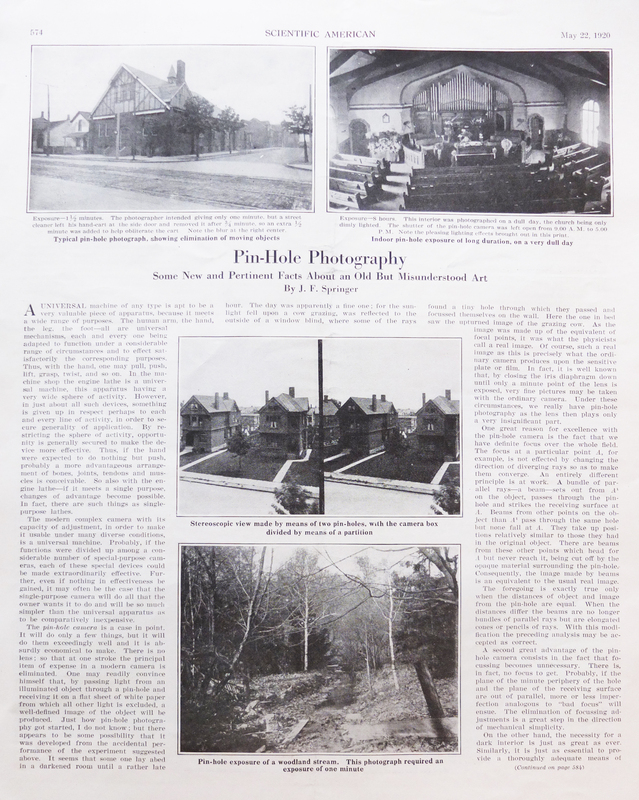 issue of the Pinhole Journal appeared in December 1985. The journal ended publication after 22 years with the December, 2006 issue. Work by many pinhole artists from a number of countries had been published. With the advent of the World Wide Web pinhole photography went online. the Pinhole Resource on the net. down and changed its name to The Pinhole News. Later it changed its name back to Pinhole Visions and remained the most important pinhole photography website. Unfortunately the site, which was run by Gregg Kemp, was closed in August 2009. In June 2004 the f295 discussion forum was established with a handful of members. By October 2008 the forum had nearly 2000 participants and over 1GB of stored, fully searchable, online information which included photographs, discussions, detailed plans and diagrams for camera building or modifying, and information on historic processes. The website, which was run by Tom Persinger, was discontinued in December 2015. The first Worldwide Pinhole Photography Day (WPPD) was held on 29 April 2001. 291 participants from 24 countries contributed images. On the second WPPD in April 2002 903 images from as many different pinhole photographers from 35 countries were uploaded to the online gallery. On the third WPPD in 2003 the corresponding figures were 1082 images from 43 countries. In 2007 a total 2943 photographs from 68 countries were uploaded to the WPPD website. Two years later, in 2009, pinhole photographers from 69 countries uploaded 3205 images. Guide to Making Pinhole Cameras and Images. It is one of the best English language books on the subject, the authoritative reference work on pinhole photography being, of course, Eric Renner’s book. In 2012 the Pinhole Resource Collection – 100 books, 56 cameras and 6000 photographs – was donated to the Palace of Governors Photo Archives at the New Mexico History Museum. The Photo Archives has already digitized hundreds of the images, which can be searched at http://econtent.unm.edu/cdm/search/collection/pinhole. An exhibition celebrating pinhole photography, Poetics of Light, was opened at the museum in June 2014. The last years several pinhole photography groups have been established on Facebook. Pinholes are used in combination with a lens for photographing miniature models, e.g. model trains or architectural models. The pinhole increases the depth of field radically. Pinhole projectors are used for viewing solar eclipses. An image of the eclipsed sun is projected on a piece of cardboard. You can also make a pinhole projector with your hands. Do not ever look directly at the Sun! Some photographers experiment with pinhole enlargers with one pinhole or multiple. And there are pinhole glasses and pinhole eye occluders for vision testing. You may easily make a pinhole eye occluder yourself. Basically a pinhole camera is a light-tight box with a tiny hole in one end and film or photographic paper in the other. Several commercial cameras are available – e.g. the 4 x 5 Rigby camera, the 4 x 5 and 8 x 10 Leonardo Cameras, the the 4 x 5 and 8 x 10 Lenseless cameras, the Zero Image pinhole cameras (various formats), the Omniscope Anamorph, the Pinhole Blender, the Merlin cameras, and others. Most pinhole photographers, however, make their cameras themselves. The construction is simple. Commercial cameras in hardwood or metal tend to be expensive – some are very expensive – and usually they do not produce better images than a homebrew camera. 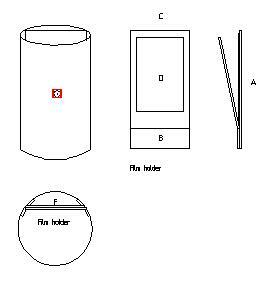 Pinhole cameras may differ with regard to (a) focal length, (b) pinhole diameter, (c) number of pinholes, (d) image format, (e) flat or curved film plane, (f) type of light-sensitive material, and (g) other characteristics. rectilinear. Straight lines are not curved at the periphery of the image. Beginners should start by making a wide-angle camera. for image sharpness. A number of formulas and charts have been produced. of diffraction. See Formulas below. slit camera, see Knuchel (1991:53). roll film is more easily available than sheet film. (“cookie”) container cut in two to form a semi-circular box. photographers also make can cameras with curved film planes. In my own pinhole photography I use flat film planes. With flat film planes a pinhole has a usable circular image of approx. 125 degrees. The image diameter is about 3 1/2 times of any focal length. circle of coverage (approximately 160 degrees). Some photographers experiment with complex film planes. Examples are found in Knuchel 1991, which is an interesting source for studying the relationship between image and camera. The film plane, flat or curved, may be radically slanted or angled in relation to the pinhole (anamorphic pinhole cameras). Light falloff will be severe, and the negatives may require burning and dodging in the darkroom or in the digital postprocessing. A simple anamorphic camera is a tube with a pinhole at the end. The Omniscope Anamorph Camera, to my knowledge the only commercially available anamorphic camera, produces a 360 degree anamorph on 120 roll film. calculating exposure both for film and paper. the best choice. Cardboard is easy to work with. also be used to control contrast in multigrade papers. for “shutter”. This is my own choice for most of my cameras. times it is important that the shutter opens easily without vibrations. feeling of the image field. themselves objects of art and have been exhibited as such. The most important part of a pinhole camera is the pinhole itself. pinhole sheets here. For most purposes, however, there is no reason why you should not make the pinhole yourself. experience is with brass shim and thin metal from container lids. (light is bent around the edge of the pinhole). a hole with a needle taking care that the hole is as round as possible. use a scanner, but be careful not to scratch the glass. 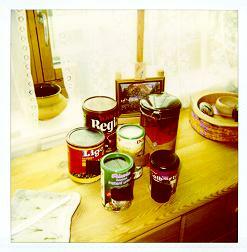 Pinhole cameras can be made of many kinds of light-tight containers. A cylindrical cardboard container, e.g. an oatmeal box or a herb tea container, is easily converted into a pinhole camera for pieces of 120 roll film or photographic paper. photographic paper between A and C.
groove is made by gluing cardboard strips to the insides of the box (Sketch). You may make a supporting back (E) for the film holder by gluing a piece of cardboard in the groove. This will make it easier to slide the loaded filmholder into the groove. cardboard to the lid to make it opaque. not looking for special off-center effects. Then make the pinhole plate. See above. Tape the pinhole plate to the front of the cylindrical box. Make a simple shutter by taping a flap of black plastic over the pinhole, e.g. plastic from a photographic paper package. The flap may be held in place by tape and a rubber string. When you take a picture you remove the string, open the flap for the necessary exposure and close it. araldite to glue a 1/4″ or 3/8″ nut to the bottom of the box. If you want a curved film plane for your camera, the cardboard film holder is left out. Film or paper is taped to the inside of the camera. Some commercial cameras are manufactured for 4 x 5 in. or 8 x 10 in. sheet film. In my view, these cameras tend to be somewhat overpriced. probably the easiest material to work with. back. The groove may be made by gluing strips of cardboard to the back. Get a 4 x 5 in. film holder. carefully before assembling the pieces. make the construction stronger. Sketch x.
a reasonable price in some hardware stores). screwed on to the side pieces. A hole (J) is made for the pinhole in the front panel. The pinhole plate (P) is attached to the inside of the front panel. wood is screwed on to the front piece from the inside. A pressure panel (L) for the film holder is made of wood. springs, are screwed on to the pressure panel. A handle (N) may be attached to the side panel of the camera. the cardboard creates no vibrations. The same design may be used for a 5 x 7 in. camera or an 8 x 10 in. camera. For an 8 x 10 in. camera 8–10 mm board or plywood may be used as the basic material. has plans for a nicely constructed cardboard camera. cameras are constructed for the format 18 x 24 cm (approx. 8 x 10 in.). 24 cm camera has a focal length of 87 mm. My “Oslo Revisited” photographs were made with this camera. roll film. The text is in German. usually use the camera for XP2 black and white film or Fujichrome Velvia. My “Pinhole Photographs 1997–98” were made with this camera. I usually use a piece of opaque plastic or a piece of cardboard, attached to the camera with tape, for a shutter. It may not be a very elegant solution, but it is very practical. More elaborate shutters can be made. The essential thing is that the shutter is lightproof when closed and that the camera is not stirred when the shutter is opened and the exposure is made. (4) cable release shutters (slide or swing); (5) magnet shutters, and others. If you are modifying a TLR or another roll film camera, you may be able to use the original shutter. A 35 mm or medium format SLR may be equipped with a pinhole body cap. You may make the body cap yourself or buy a manufactured pinhole body cap. There are several on the market, also for some rangefinder cameras. Some pinhole body caps are dustproof, which is particularly important for digital SLRs. to avoid dust when you change from lens to body cap. If you modify a body cap yourself, you may make the pinhole dustproof by gluing a microscope slide “cover plate” over the hole. My pinhole photos from Rome in 2007 were made with a commercial pinhole body cap on a film based SLR. It was the first time I used 35 mm film for pinhole photography. It made me realize that 35 mm pinhole negatives may be enlarged to a considerable extent and still yield good prints. The quality of the pinhole bodycap was excellent. 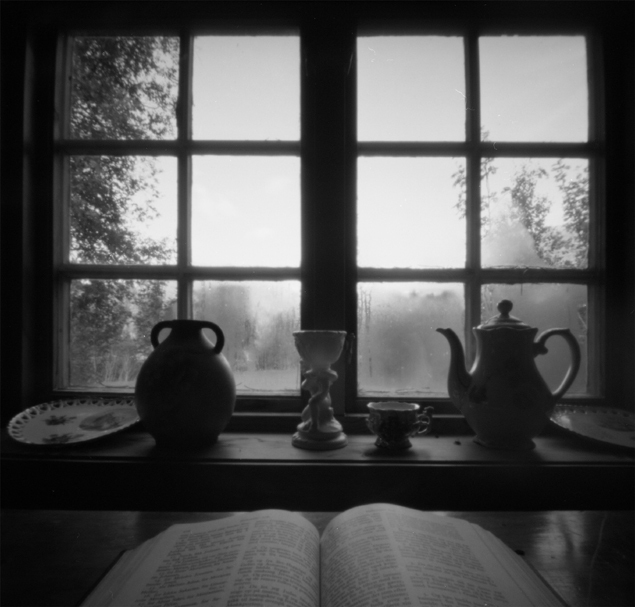 After this, rather long, list of pinhole camera links it may be in place to remind the reader that pinhole images – like other photos – in the final analysis are made not by the camera but by the photographer. Very simple cameras may produce great images, as for instance this pinhole photo, which was made with a matchbox camera by a Polish photographer. According to Eric Renner at least 50 charts suggesting optimal pinhole diameters have been devised in the last 125 years (Renner 1995:118). In my own reading the last fifteen years I have come across about fifteen charts or formulas, a few of which may be derived from the same basic formulas. It should be noted that the diameter of the pinhole is not really critical. But for every focal length there is an “optimal” diameter, i.e. a diameter which produces the sharpest possible image. technically possible. A good pinhole image is something else than a blurred, out of focus, lens image. edges. It may be checked with a magnifier or an enlarger. others have been published since the 1880s. where d = pinhole diameter, l = wavelength of light and f = focal length or distance from pinhole to light-sensitive material. substituted. Often the value of the yellow-green spectrum is used, i.e. Institute of Technology lists several other formulas in a posting on the net. images represent a special potential. will appear, upside down, on the wall facing the hole”. (Eder, 1945:39). The following bibliography is basically a list of some of the literature I used when I wrote the first version of this article in 1996. A few entries have been added. by W. S. Hett, M.A. London: William Heinemann Ltd., 1936. Epstean. New York: Columbia University Press, 1945. Hilger Ltd., 1981. 182 pages. ISBN 0-85274-451-X. and Company 1991. pp. 3–6. reappears after 50 years”. American Photographer, December 1987, p.
Cameras: Wide-angle, Normal, Telephoto. The Pinhole Format Co. 1999. York: Focal Press 1972, pp. 61–62. ‘das Labyrinth’, Basel/Nadelberg 17, 19. November 1992 bis 2. Januar 1993. Eastman Kodak Company. How to Make and Use a Pinhole Camera. 1968. 12 pages. Photographer, 9 December 1995, pp. 46–48. Evans, John. Adventures With Pinhole and Home-Made Cameras. Photography”. Camera and Darkroom, February 1992, pp. 44–49. 1990, pp. 48–49. Oslo 1990. 5, 1990, pp. 44–47. Oslo 1990. Sidelines.” Shutterbug, June 1998, pp. 42–48. York: Alfred A. Knopf 1981. pp. 32–33 and 146. Marzocchini, Vincenzo. La fotografia stenopeica in Italia. Platt, Richard. The Professional Guide to Photo Data. Manchester: Mitchell Beazley, 1989. p. 73. Photographer, 8 january 1994, pp. 23. 0-240-80231-4. Third edition 2004, 272 pages, ISBN 0-240-80573-3. Photography’s Film Guide, 1989, pp. 48–49 and 94. Sassi, Luigi. La fotografia senza obiettivo. Milano: Ulrico Hoepli 1905. 135 pages. Schmidt-Ploch, Ulrich Clamor. Die Lochkamera. Abbildungsoptimierung. Physikalische Hintergründe. Freibrug i.Br. : SP-Verlag. Schriever, J.B. Complete Self-Instructing Library Of Practical Photography. American School Of Art And Photography 1909. York: Morgan & Morgan, 1974. 64 pages. Smith, Lauren. The Visionary Pinhole. Salt Lake City: Gibbs M.
Smith, Inc., Peregrine Smith Books, 1985. Bogtrykkeri og Forlag 1901. pp. 7–10. New York: Focal Press, 1969. pp. 1124–1125. Vogel, François. Nouveau traité du sténopé / A New Treatise on the Pinhole Camera. Angers 2011. 160 pages. 5, 1993, pp. 60–62. Stockholm 1993. Wiklund, Peter. “Den hålögda kameran.” Fotografi, 6, 1994, pp. Young, Matt. “The Pinhole Camera, Imaging without Lenses or Mirrors.” The Physics Teacher, December, 1989. Verlag 2001. 95 pages. ISBN 3-89506-222-7. Text in German and English. Camera, September–October 1995, pp. 4–8. Camera, September–October 1995, pp. 22–28. Knuchel, Hans. Camera obscura. Baden: Verlag Lars Müller 1992. Hölderlin, magst’ weiterziehen? Hannover: Hartmuth Schöder 1993. n.p. Darkroom, June 1992, pp. 34–39. Wolff, Ilan. Camera obscura. San Sebastian: Kutxa fundazio / Fundación Kutxa 2008. 144 pages. ISBN 978-84-7173-516-4. Text in Basque, Spanish, French and English. First published 1996. Last updated 28 September 2018.